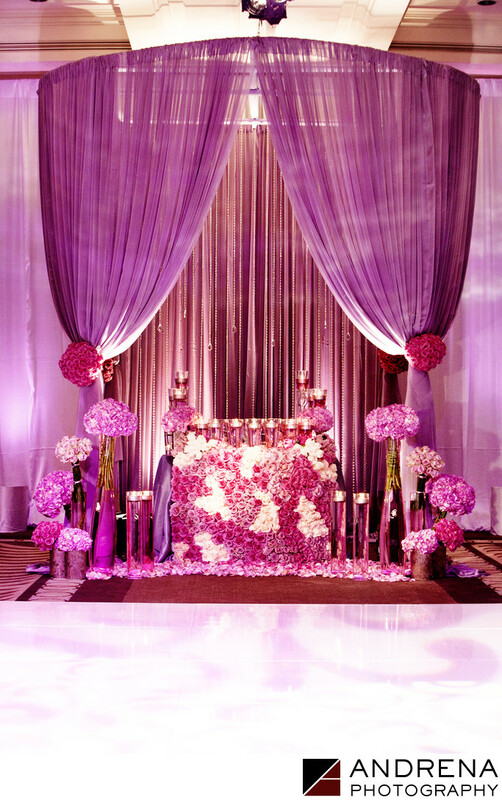 This dramatic sweetheart table has been picked up by numerous bridal inspiration blogs all over the world. Created by Square Root Designs, this lush sweetheart gave the bride and groom a regal place from which to watch their reception festivities. This wedding took place at the St. Regis in Dana Point, and was published in Ceremony Magazine.